Recent research has shown that the gut is crucial to good health. And it’s importance to every aspect of health, from the immune system to our mental health, has been hugely underestimated. The gut is teeming with bacteria and all sorts of microbes, some good, some bad. It is vital to get the balance right. Not enough of the good ones and you could suffer from food allergies and have a compromised immune system. 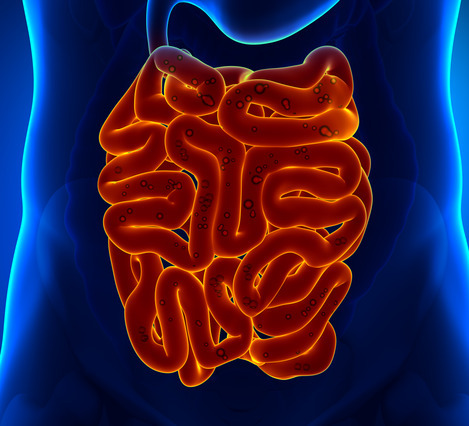 This is such an important subject that I asked nutritionist Fleur Borrelli, to do an article explaining exactly how the gut works and why these bacteria that inhabit it are so important. It’s such a big subject, she came back with a 4 part article! Microbes exist both inside and on the human body as an ecosystem with distinct habitats. Our guts have the biggest collection of microbes which include bacteria, both beneficial and non-beneficial and also yeasts. The beneficial bacteria should outnumber all other inhabitants to keep their activity at bay. We are still learning about the relationship between us humans and our gut microbes. It is only very recently that we have been able to examine them more closely through a new screening method known as DNA sequencing . What we do know for sure is that the more varied the species we have (known as microbial diversity), the healthier we are. We also know that our microbes outnumber our cells by ten to one which makes their presence in the body as significant as any other organ and tissue. How do we get our microbes? A baby starts off with a sterile gut. Gradually as it travels through the birth canal and enters the world it begins to accumulate species of microbes. Breastfeeding provides food for certain types of bacteria and an opportunity for the infant to pick up more microbes from mum. This process continues for the first two years of its life until its microbial community has become diverse. Because microbes prime the immune system the more we are exposed to them in infancy the more robust our immune system becomes. Frequent antibiotic use and overuse of antibacterial sprays can potentially prevent the proper development of the immune system. Microbes can change from day to day depending on what we are eating. In general the food we typically eat over a year will determine the microbes we have in our gut. Food allergy is an inappropriate response to food particles. Most common food allergies come from milk, wheat, fish, soy, peanut, egg and shellfish. Why do allergies occur in child hood? Genetics plays a role but environment has an effect. We really need early exposure to pets and dirt as this reduces chances of the development of skin and respiratory allergies. By keeping the environment of the infant ‘too clean’ then colonisation by gut microbes is limited which can mean that they are more susceptible to incorrect responses to food. This is because bacteria play a role in immune development which can be thought of as ‘flipping a switch’. Bacteria in the digestive tract flip important switches that enable the correct immune responses. If bacteria are not in the digestive tract at the right time the switch does not get flipped and allergies can occur. What are the benefits of having microbes in our gut? 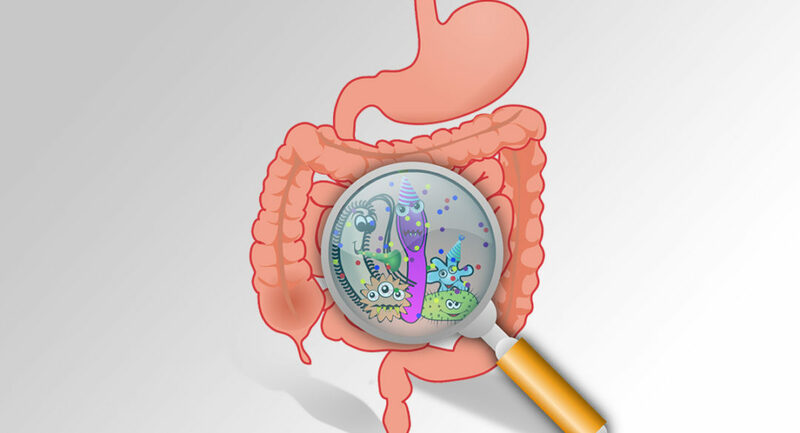 In the next article we will look at the connection of the gut to the brain. Also how it affects our weight! And look at how a supplement can help improve the good/bad balance of bacteria. Love the pics I have of my kids eating mud!